I own a publishing company (with the magnificent Lisa Hagan, write books, edit books, work on film treatments and develop television shows. It’s a living, sort of. I find myself in my first role – that of publisher – checking Amazon reviews and rankings frequently. I build author pages for them. When it comes to amazon, I’m around. So, imagine my delight when I bumped into the one-star review of the above book by one Barry Burek on amazon. One star? Almost thirty years of criticism, interviews and reporting in the greatest newspaper on Earth gets one star? What is Mr Burek sniffing? Unfortunately for him, he was like a cat hiding behind the curtain with his tail sticking out. A quick click on his name showed a trail of meticulous, often mentally-disturbed, reviews of an hilarious range of products. He gives one star to Bernard Holland’s thirty years at The New York Times because Holland was a “professional leech”. This would be news to his employers who received 4600 reviews from him, including several Pulitzer Prize nominations. Sorry, Barry. No go on that one. He calls Mr Holland a bunch more names, which made Mr Holland laugh. As he said, “haters mean I’m doing my job right.” So, according to Barry, don’t buy that book. According to Mr Holland, get a Barry Burek and feel like you’ve arrived. Did I tell you Barry Burek creates an alter ego named “Lola” to answer himself? When he dolls out a single star, Lola backs him up. Barry is picky, and kind of a coward, it seems. An organic sea salt got a whopping 5 stars from Barry because it tasted good and was EASY TO USE. I worry now that Barry has flippers instead of hands. Intimately aware of his shoe size after reading his shopping history, the Santa Cruz slip-on-loafers were pretty good – 4 stars – but lost that star because, after arriving on May 20, Barry pushed his big toe through one on July 18. His perforated garden clogs lost one of their stars because they were not the originals, they were way cheaper. (And this is the clogs fault because….?) Barry’s Pali Hawaii Classic Jesus Sandals (brown, 12) take a direct hit of a few stars because Barry is really a 10 1/2 D and the 11 he ordered was TOO SMALL. He then ordered the 12 and it was TOO NARROW. What a world, Barry! On a book about dementia, Barry let loose in the vein of his diatribe against Holland. (Classical music and deteriorating neural pathways are Barry’s hot spot?) His one star was followed with a cascade of name-calling and vitriol. The sane came out of the bushes and said “You need help, Barry. Please get it now. There is no shame in mental illness.” Predictably, Lola showed up to defend Barry. Remember the next time you read those heaps and piles of unchecked reviews on amazon, most of them are silly. They are about the emotions and prejudices of the writer and not productive criticism. That is a skill and an art in itself that people like Barry Burek can’t imagine. But he did like the wine stoppers and cat litter he ordered. Take note. 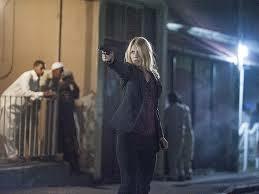 What is more courageous than entering a world of powerless females and raising your gun at men who want to kill you? She is thrilling. She is relentless. As colleagues look askance at her pronouncements, afraid of her “mental issues,” there is only one problem: she is the only person in the room who will do what it takes. Some choices are bad no matter which one you make. This was one of them. But it seemed reasonable to eradicate these killers AND keep the CIA’s secrets intact. Cold, yes. But hey, boys, war is hell. 1. 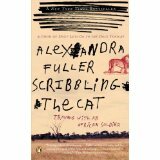 Alexandra Fuller’s Scribbling the Cat – She blasted into readers’ vision with Don’t Let’s Go to the Dogs Tonight, but this short read 90-minute read is a reality so vivid, you can almost smell the blood drying on the overalls of white Afrikaners in the Zimbabwe bush. Her search for the mercenaries that fought Zimbabwean rebels, scourge of her youth, bring her finally to a compound of drunken madness where she finds broken old white men, telling war stories and taunting an equally insane old lion, chained up on the lawn. 2. Sula by Toni Morrison – Toni Morrison’s took down slavery in a book of such power and poetry, it seems almost criminal to be American and not have read it. (It also earned Ms. Morrison a Nobel Prize in Literature.) But in Sula, Morrison goes way down into the belly of the individual, in this case two women, and shows the wheel of love and hate turning round and round inside of them. The women love each other. The women hate each other. The women don’t understand each other. The women want what the other has. The women destroy their bond and their love as so many other women have before them have done: over a man. 3. West with the Night by Beryl Markham: Every true reader has a book that falls into his or hand hands at an impressionable age and gives off a hint of what life might be. Until the grave, the reader never shakes this book off completely and, in the back of her or his mind, the dream never dies. For a young suburban teen, West with the Night seemed unimaginable; a woman pilot in 1900s Africa, soaring over that Continent at will, having affairs with the great white hunter Denys Finch-Hatton and writer-pilot, Antoine Saint-Exupery. Imagine those two ecstatic souls – Saint-Exupery and Markham – soaring over the volcanic East African landscape, shouting at each other over their biplanes’ engines as they dipped, circled and rose. Beryl raised racehorses and rarely paid a bill. Some would call her a sociopath. A woman who knew how to live feels a more appropriate label. 4. Seven Gothic Tales by Isak Dinesen – Many fierce women blow through Africa, as can be seen in the entries above. Dinesen’s most famous work came out of that experience (may the young Robert Redford always be there to wash your hair), complete with lion-whippings and scenes of swollen bellies. When Dinesen returns to Denmark, she produces a lifetime of great writing which includes these creepy little short stories, rife with paranormal suggestion, mystery and dread. Seven Gothic Tales belongs on the shelf with Poe and proves that she whether confronting a Zulu or a ghost; Isak was up to it. 5. Lucky by Alice Sebold – In her freshman year at Syracuse, Alice Sebold walked home from campus one the evening. 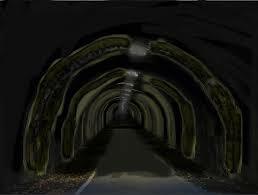 She passed through a tunnel and when she comes out the other side, all life as she knew it is gone. Inside, she was attacked and raped violently, an act of such viciousness the first cop on the scene is amazed she is alive. He calls her “lucky” because just last week, the cop tells the ripped bleeding Alice, a woman was murdered and dismembered in that very same tunnel. Sebold would go on to write The Lovely Bones several years later, a publication some compare to the success of Gone with the Wind.